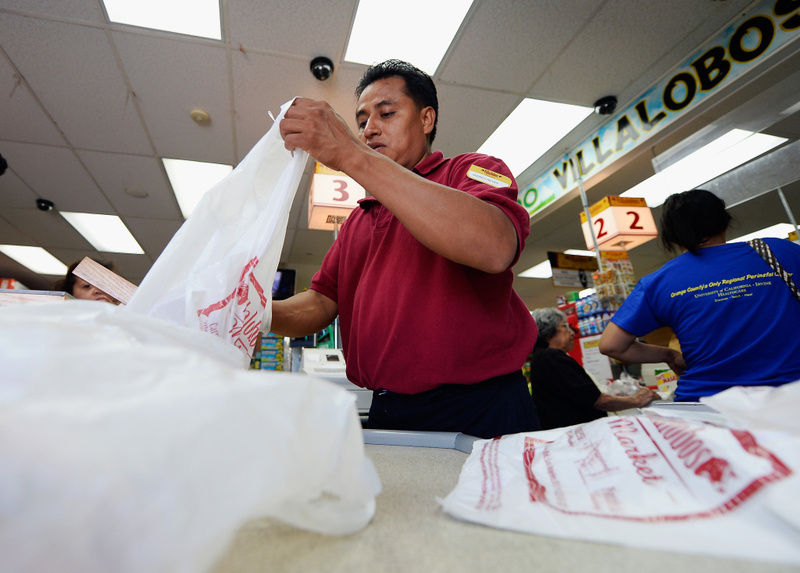 A clerk bags groceries in plastic grocery bags on June 18, 2013 in Los Angeles, California. That’s because plastic bag manufacturers represented by the The American Progressive Bag Alliance have gathered enough voter signatures to force a statewide vote via referendum at the next general election. The referendum won’t affect citywide laws already in effect in places like Los Angeles and Long Beach, but it could permanently put the brakes on the nation’s first ever statewide ban on plastic bags. Supporters say surveys show strong support for banning plastic bags.